get this one, since my skin is fair and the brightening effect will look good on me. So I give it a try!! I love bottle with pump! It's more hygiene IMHO. is HD, the result is quite natural and look really good in photos! beware your pore will become more visible without warning you first! ✩ makes my skin breakout if i use it too long. ✩ pricey for me -.-"
If this not make me breakout sometimes, i wanna give it 10! Purchase again? NO, I already have 2 base in stock. 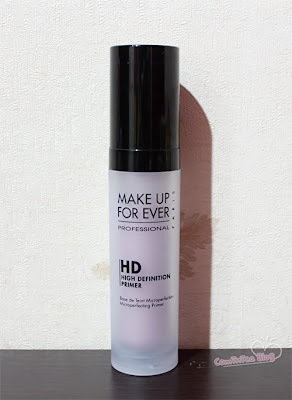 And since this product give me breakout, i'm going to find another primer if I run out. But this primer is worth to try! 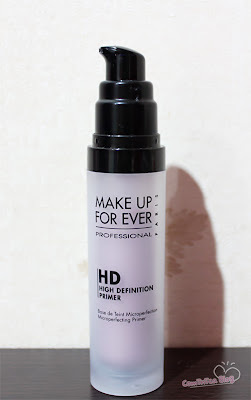 I really want to try all their HD Range ≧△≦. it's quite pinkish ya? I want to try that one, but it's too expensive, hehehe.. It's nice with the brightening effect, but I'm sorry it made you break out! :( Sad! Oh no - bummer that it broke you out. The lotion texture seems impressive though. Thanks for the great review. It sounds like a really good primer! Sorry to hear that it gives you breakouts sometimes.